What amazing adventures you are about to have! From this side of high school, that might be difficult to believe. You've had the worst summer of your life (trust me, the next 17 summers will truly be a vacation in comparison), and you don't feel particularly intelligent, beautiful or friendly enough to make any kind of difference. You won't be valedictorian, voted homecoming queen or give the commencement address, but you are about to meet some of your best friends, discover your biggest supporters and figure out who you are. Freshman year will start off better than you expect. 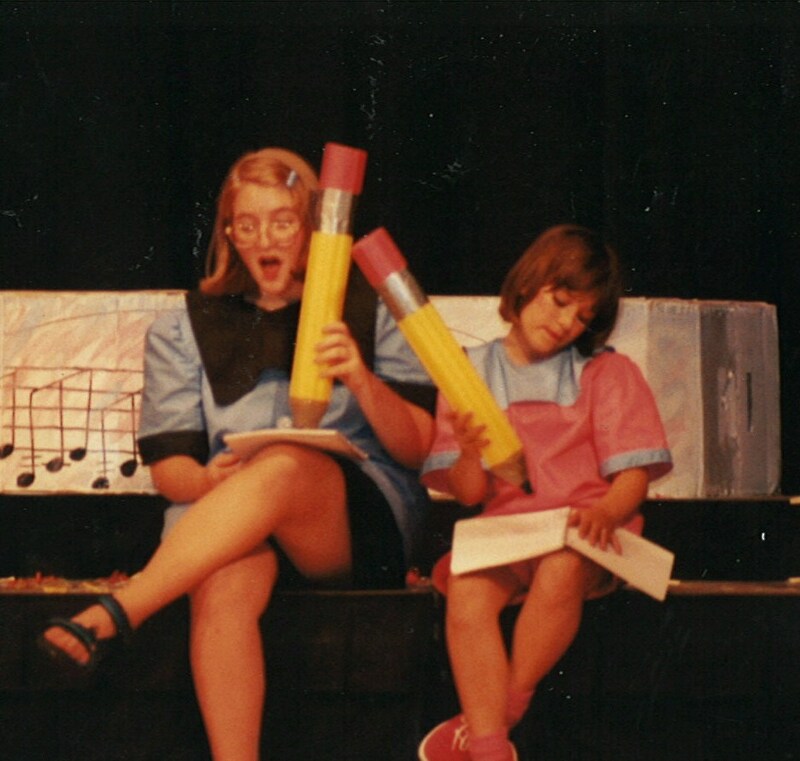 You'll be cast as Patty in a local production of You're a Good Man, Charlie Brown, and you'll enjoy singing, dancing and acting with a group of people who will continue to be a part of your life for years to come. Enjoy every minute of your time in the spotlight. 14-year-old Kathryn sings "The Book Report" in You're a Good Man Charlie Brown. As you begin your sophomore year, you'll be asked to take on a bigger role in the high school band. 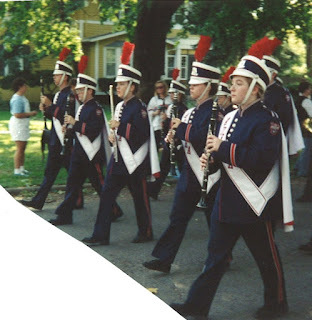 Let's face it, you won't be an amazing clarinetist, but you'll do just fine as the second-clarinet section leader in marching band, and you'll get to play percussion—chimes, xylophone, glockenspiel, cymbals and even timpani. At the end of the year, when you're asked to switch to the bassoon, be brave! It will lead to a college scholarship. 15-year-old Kathryn marches in the West Aurora High School homecoming parade. 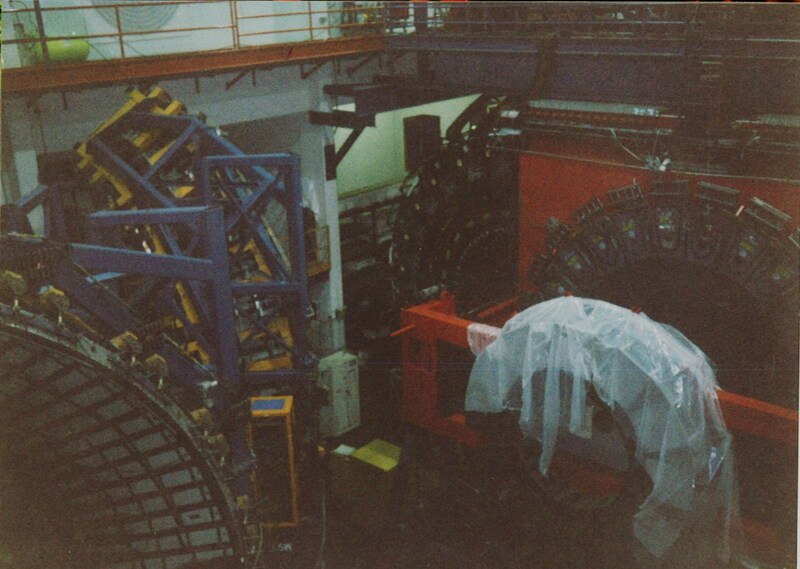 You've always been pretty good at math and science, so junior year, when you're invited to participate in Saturday Morning Physics at FERMILab, don't hesitate to say yes. You'll learn from Nobel Prize-winning physicists and get a peek inside the particle accelerator where the down quark was discovered. You'll also have a conversation with Leon Lederman that will change the way you look at the universe and your place in it. 16-year-old Kathryn walks through the particle accelerator at FIRMILab. Your senior year will be incredibly challenging, but you are up to the task. 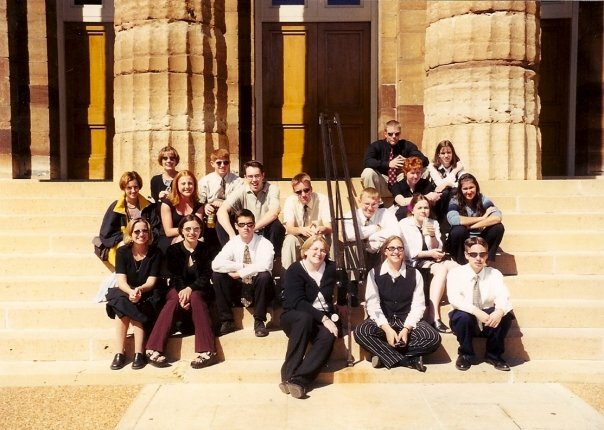 How many 17-year-old students can say they've worked in the governor's press office? You will. And you'll watch as he becomes the first governor since the Kennedy Administration to go to Cuba, you'll be a part of a moratorium on executions, reform of handgun laws, implementation of children's health insurance, review of zero-tolerance policies in schools, and yes, even be there when an old scandal resurfaces. The governor will later go to jail for his crimes, but you will continue to make politics a huge part of your career. 17-year-old Kathryn meets with other internes on the steps of the Old Capitol Building. Not everything that happens during the next four years will be exciting and fun. You'll experience death and illness on a very personal level, and your faith and abilities will be put to the test. But the thing about opportunity is that it makes you better, stronger, more equipped to handle trials. Right now, you look at yourself as an awkward girl in thick glasses and too much fat who doesn't know how to dress or do her hair. Your family's not wealthy by any stretch of the imagination, and you can't imagine being able to afford to go to college. Well, those things won't really change, but your perception of yourself will. You'll soon realize that it's the experiences you have that define who you are. So grab every opportunity that comes your way and live a life well lived. I promise, you won't regret a thing. This post is a stop along the Dear Teen Me Blog Tour. 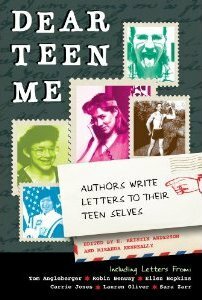 The Dear Teen Me: Authors Write Letters to Their Teen Selves anthology by editors E. Kristin Anderson and Miranda Kenneally will be available from Zest Books on October 30. 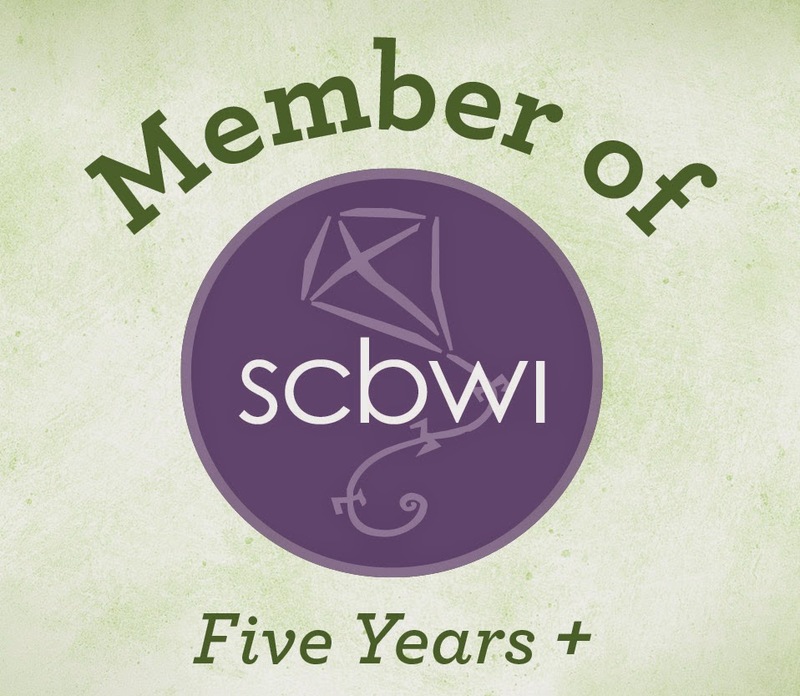 Don't miss this amazing book that features insights from some of my favorite YA authors, including Tom Angleberger, Daniel Ehrenhaft, Carrie Jones, Kekla Magoon, Jenny Moss, Cynthia Leitich Smith, Sara Zarr and more. It seems like a great book. I myself is keeping a journal and I still have those during my high school years. It's always nice to look back at the past and have a good laugh while you reminisce. It's funny but I used to be a member of a band as a clarinet player too! Oh, good old days. It's a very encouraging book that helped me keep a lot of crappy things that happened to me in high school in perspective. I still pull out my clarinet ever once in awhile and doodle-doodle-doodle-doodle-det.